Official Side Event at the Human Rights Funders Network Conference –Reimagining Human Rights: New Energy for a New Era. 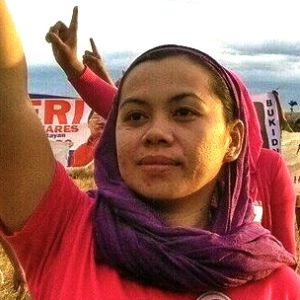 Authoritarian regimes continue to rise worldwide, posing a risk to the already minimal 2% of available human rights funding women’s human rights defenders receive. Curious about how to be a more effective ally to our grantees the Urgent Action Fund Sister Funds convened activists working on women’s issues from regions as diverse as Poland, Uganda, Honduras, Turkey, Philippines, Spain, and the United States to exchange tactics and build solidarity in the summer of 2017. We will share the strategies developed and development made since. 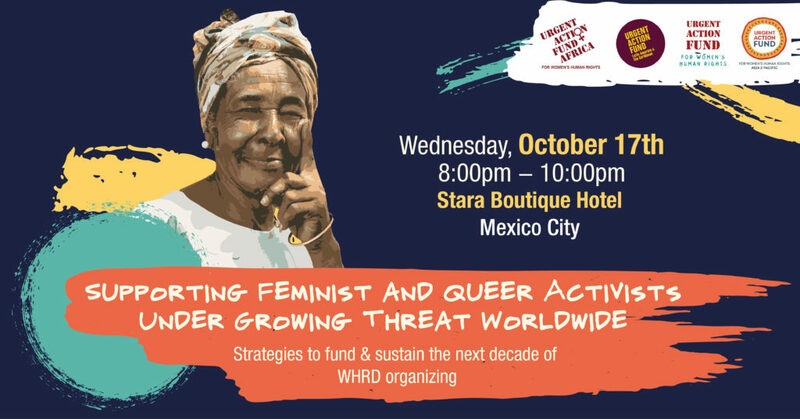 We will be joined by a live panel of grantee partners from Nicaragua and Slovakia doing cutting-edge work on the connections between fascism, authoritarian regimes and reproductive rights in Latin American and Central European contexts. A featured ecosystem event at the Skoll World Forum co-organized with Global Witness, Not1More, Thousand Currents, the Environmental Defenders Fund of the Biodiversity Funders Group, and the Trust for Mutual Understanding. Four environmental defenders are — on average — killed every week. This violence is part of an intensifying global crackdown on civil society, threatening social entrepreneurs, activists and all who protect environmental and human rights. Join us in an interactive discussion to explore how to advance collective and scalable security and resilience. We will hear directly from Environmental Defenders about the challenges and risks they face. Opening remarks from Bianca Jagger followed by a conversation with environmental defenders Claudelice Silva dos Santos and Odigha Odigha.